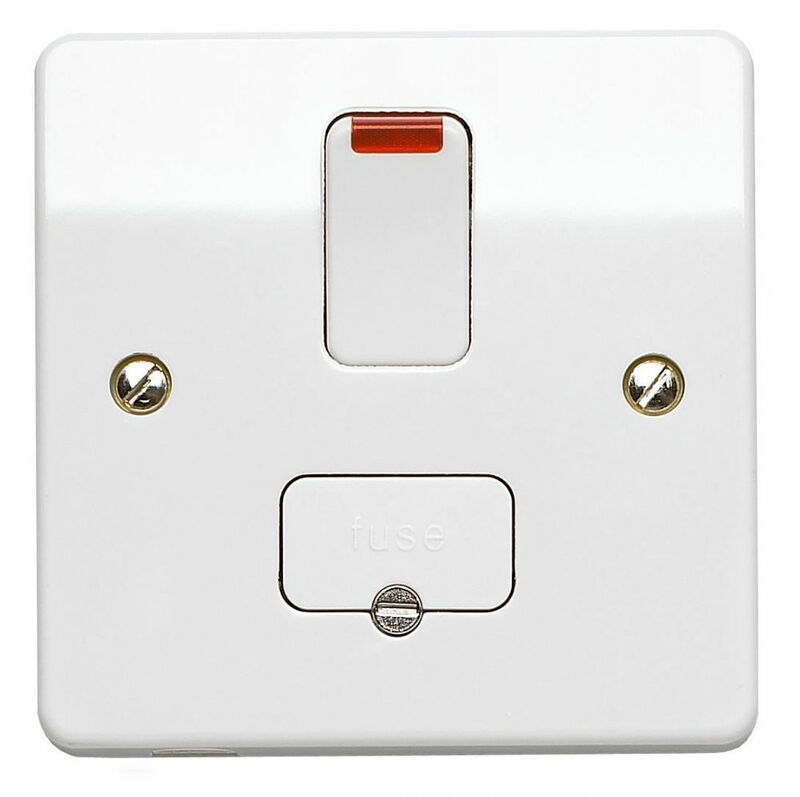 MK Electric K1060WHI Logic Plus White Moulded Double Pole Switched Connection Unit With Neon 13A. 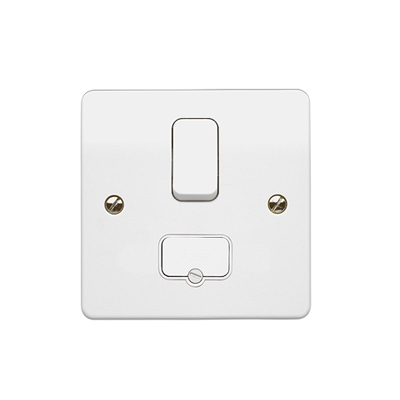 MK Electric K1531WHI Logic Plus White Moulded 1 Gang 1 Way Dimmer Switch 1 x 40W - 250W. 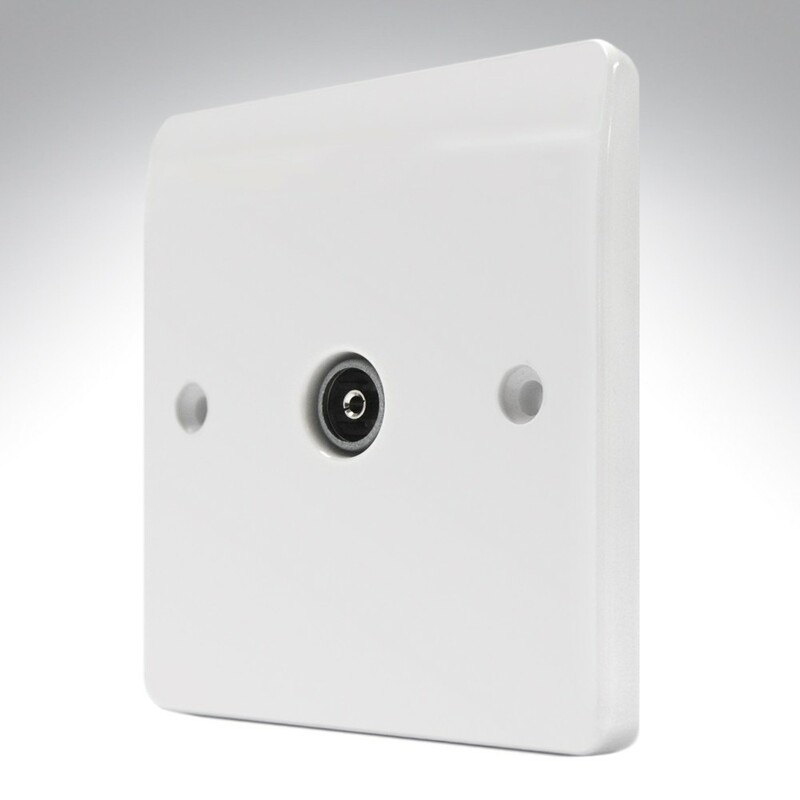 MK Electric K2142WHI Logic Plus White Moulded 2 Gang Surface Mounting Box With Knockouts 30mm. 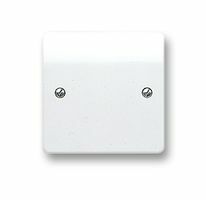 MK Electric K2172WHI Logic Plus 2 Gang Surface Mounting Box Moulded White 40mm. 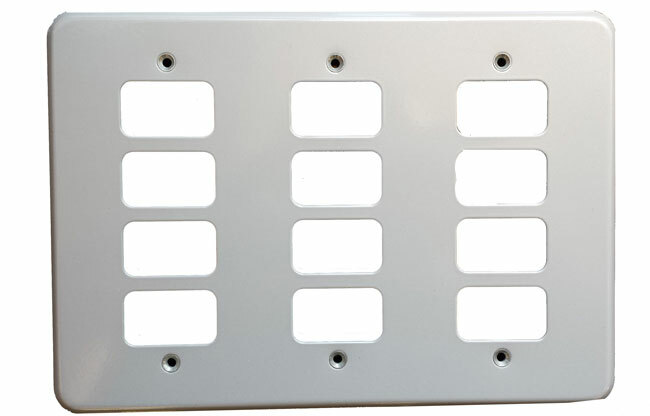 MK Electric K2200 Metal 1 gang panel frame. 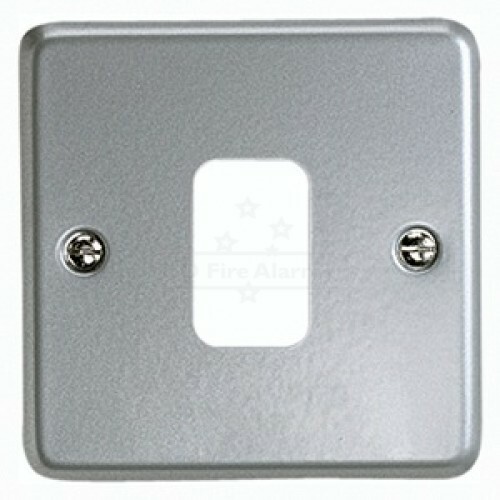 MK Electric K2214 2 Gang Steel Surface Mounting Box 41mm. 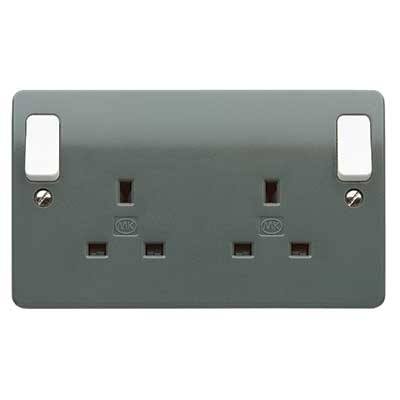 MK Electric K2757D2WHI Logic Plus 1 gang Double Pole Switchsocket with Dual Earth Terminals. 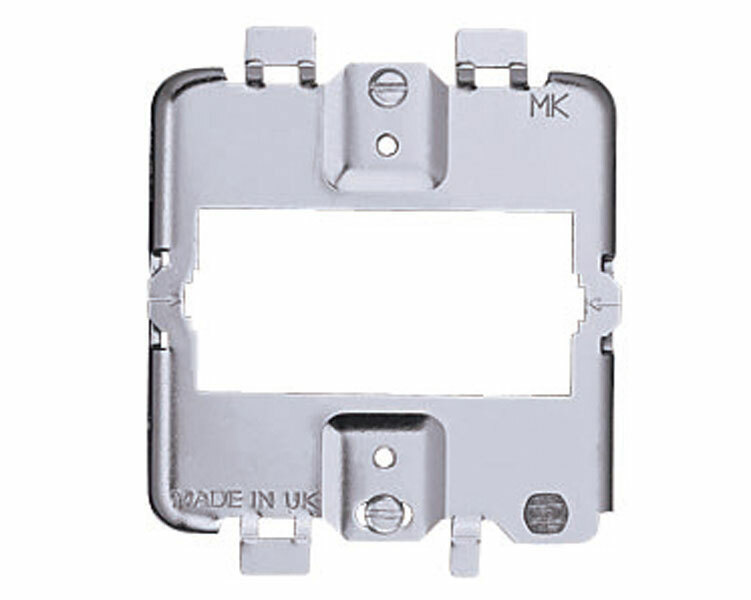 MK Electric K291ALM Metalclad Plus Grid 1 Gang 1 Module frontplate. 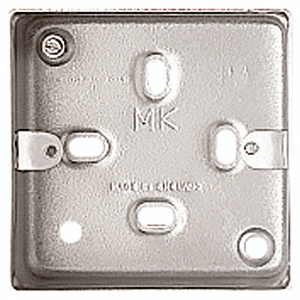 MK Electric K2946ALM Metalclad Plus 2 Gang Shuttered Switched Socket with Mounting Box. MK Electric K3491ALM Metalclad Plus Grid Stove Enamel Aluminium 1 Module Frontplate 86mm x 86mm. MK Electric K3493ALM Metalclad Plus Grid Stove Enamel Aluminium 3 Module Frontplate 86mm x 146mm. MK Electric K3496ALM Metalclad Plus Stove Enamel Aluminium 6 Module Frontplate 146mm x 146mm. MK Electric K3498ALM Metalclad Plus Grid Stove Enamel Aluminium 8 Module Frontplate 146mm x 146mm. MK Electric K3499ALM Metalclad Plus Grid Stove Enamel Aluminium 9 Module Frontplate 206mm x 146mm. MK Electric K3502ALM Metalclad Plus Grid Stove Enamel Aluminium 12 Module Frontplate 206mm x 146mm. MK Electric K3508ALM Metalclad Plus Grid Stove Enamel Aluminium 18 Module Frontplate 206mm x 206mm. 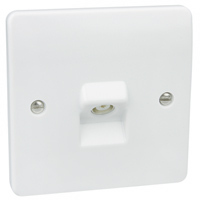 MK Electric K3520WHI Logic Plus Moulded Plastic TV - FM Co-Axial Socket Single Non isolated Socket. 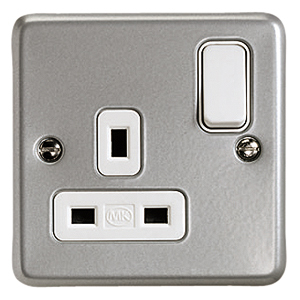 MK Electric K3550WHI Logic Plus Digital Single Non Isolated Screened IEC Male TV Socket. 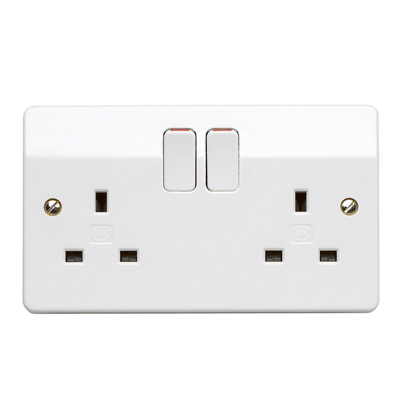 MK Electric K3551WHI Logic Plus Digital Single Non Isolated Screened IEC Female TV Socket. 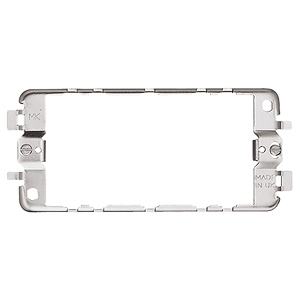 MK Electric K3631WHI Logic Plus White 1 Module Frontplate 86mm x 86mm. 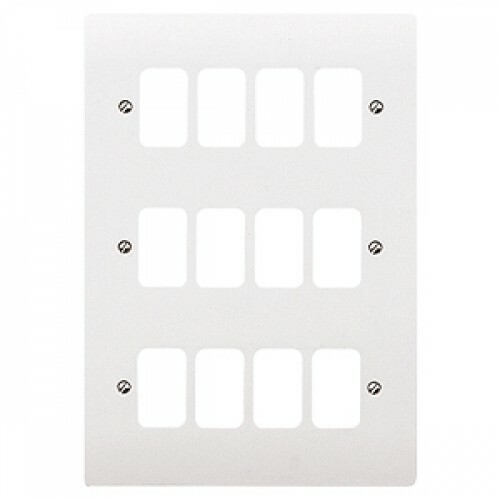 MK Electric K3632WHI Logic Plus White 2 Module Frontplate 86mm x 86mm. 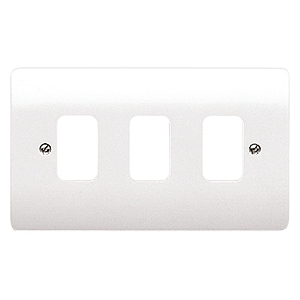 MK Electric K3633WHI Logic Plus White 3 Module Frontplate 86mm x 146mm. 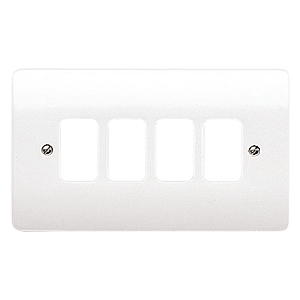 MK Electric K3634WHI Logic Plus White 4 Module Frontplate 86mm x 146mm. 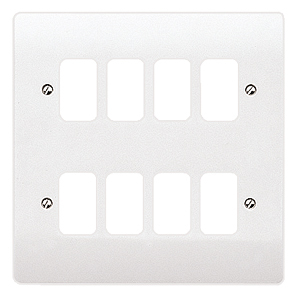 MK Electric K3636WHI Logic Plus White 6 Module Frontplate 146mm x 146mm. 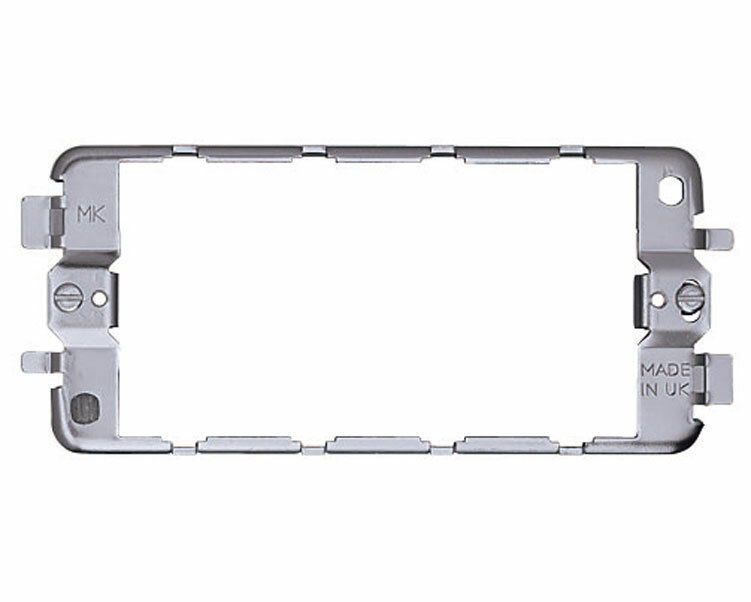 MK Electric K3703 Metalclad Plus 3 Module Grid Mounting Frame. 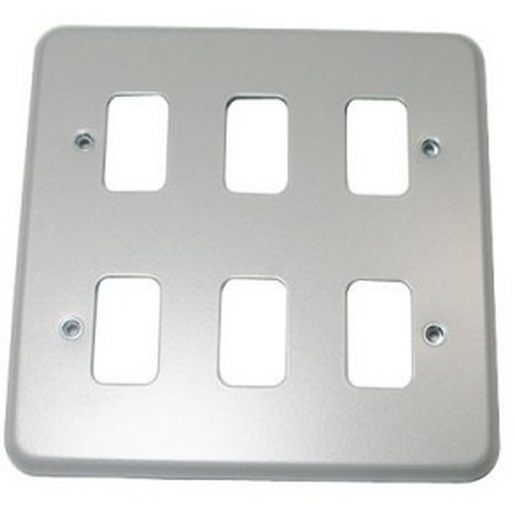 MK Electric K3704 Metalclad Plus 4 Module Grid Mounting Frame. 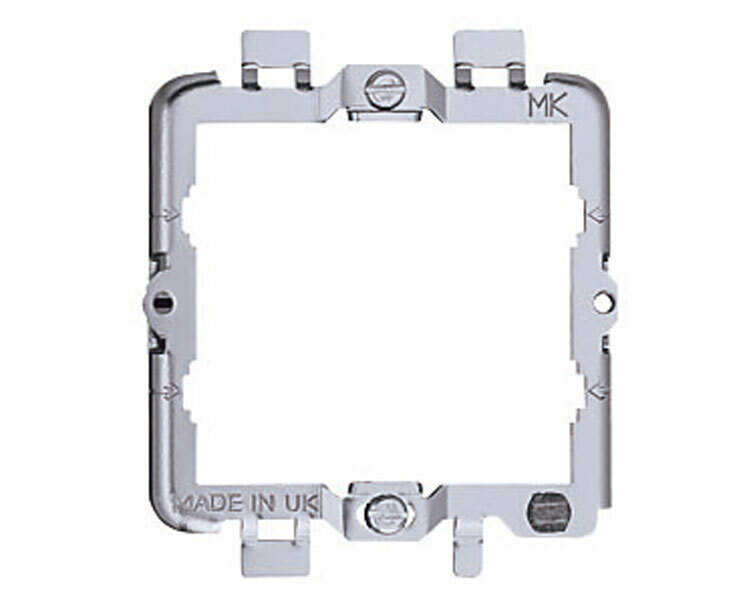 MK Electric K3706 Metalclad Plus 6 Module Grid Mounting Frame. 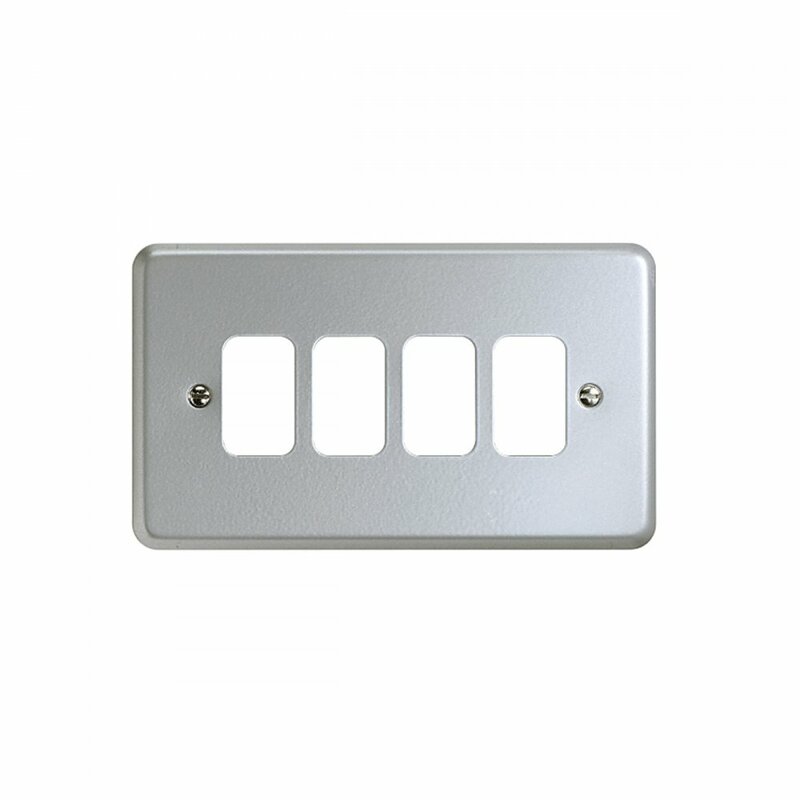 MK Electric K3708ZIC Metalclad Plus Architrave Grid Mounting Frame. MK Electric K377WHI Logic Plus Unswitched Connection Unit W/ Neon & Flex Outlet In Base 13A. 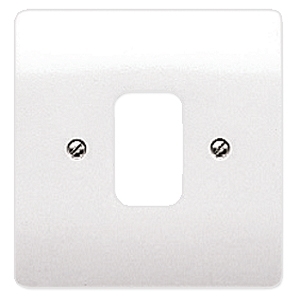 MK Electric K3825WHI Logic Plus White Moulded 1 Gang Architrave Blank Plate. 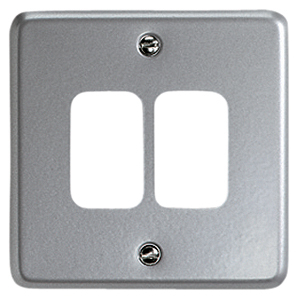 MK Electric K3827WHI Logic Plus White Moulded 1 Gang Blank Plate. 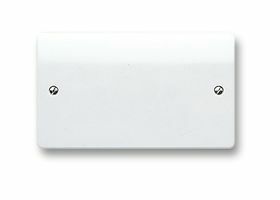 MK Electric K4000WHI Grid Plus White 1 Module Modular Buzzer Unit 230V. 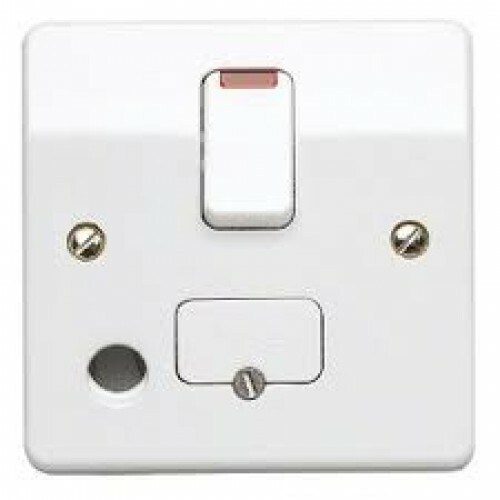 MK Electric K4001 Grid Plus Buzzer Unit White One Module 21-36V. 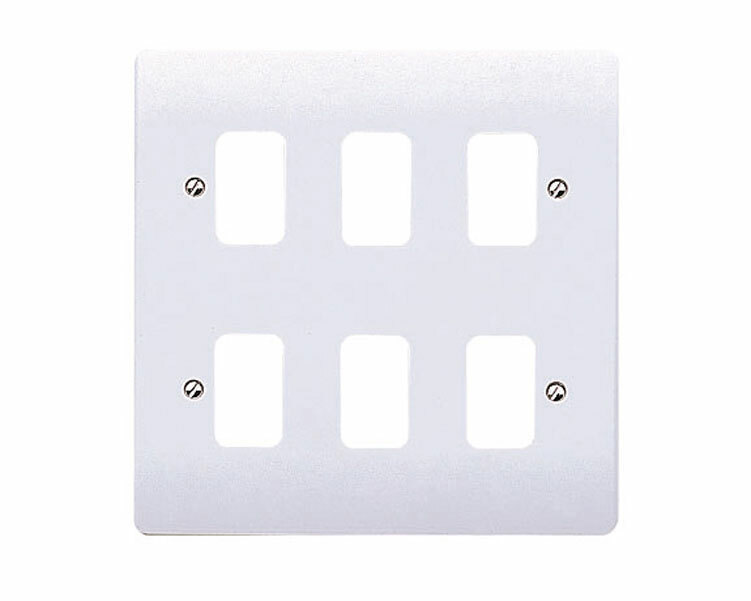 MK Electric K4501WHILV Grid Plus Edge White 1 Module Low Voltage Modular Dimmer Switch 40W - 220W. 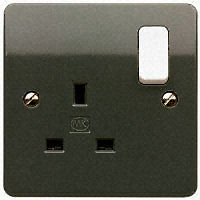 MK Electric K4521WHI Grid Plus Aspect TV Co-Axial Outlet, Isolated. 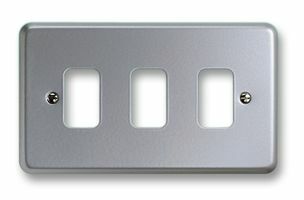 MK Electric K4783WHI Logic Plus 3 Gang 2 Way Single Pole Plateswitch W/ Wide Rockers 10A. 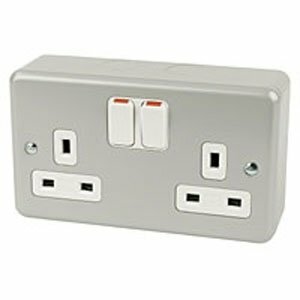 MK Electric K4817WHI Logic Plus 1 Gang RJ11 Telephone Socket. 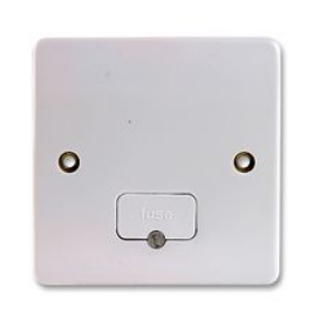 MK Electric K4859WHI Logic Plus Triple Pole White Moulded Fan Isolator Switch 10A. 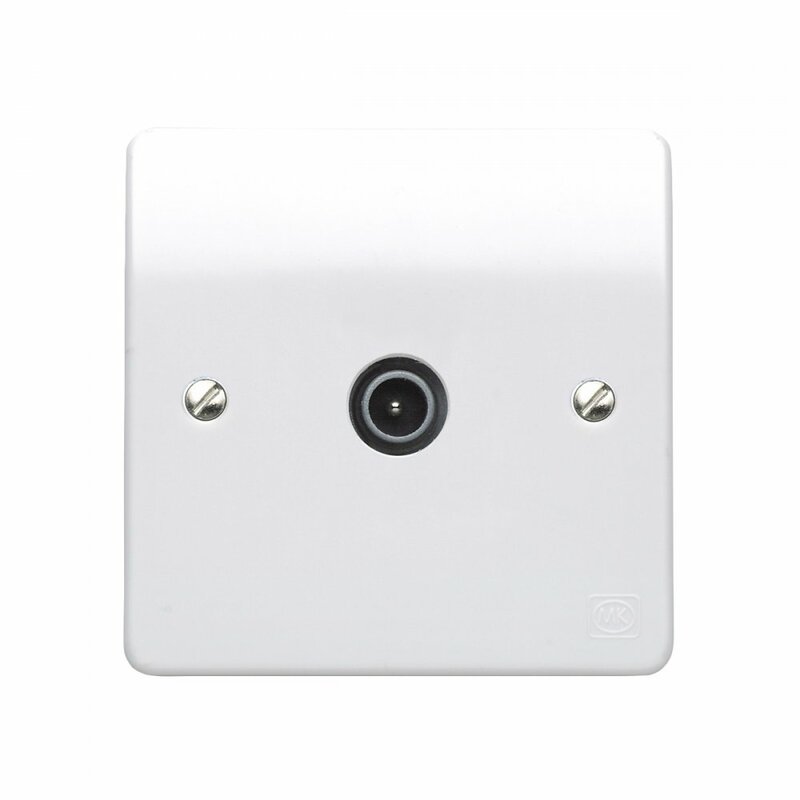 MK Electric K4870WHI Logic Plus White Moulded 1 Gang 1 Way Single Pole Plateswitch 10A. 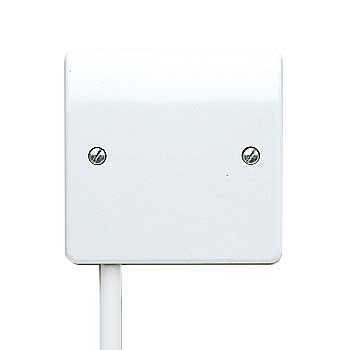 MK Electric K4871WHI Logic Plus White Moulded 1 Gang 2 Way Single Pole Plateswitch 10A. 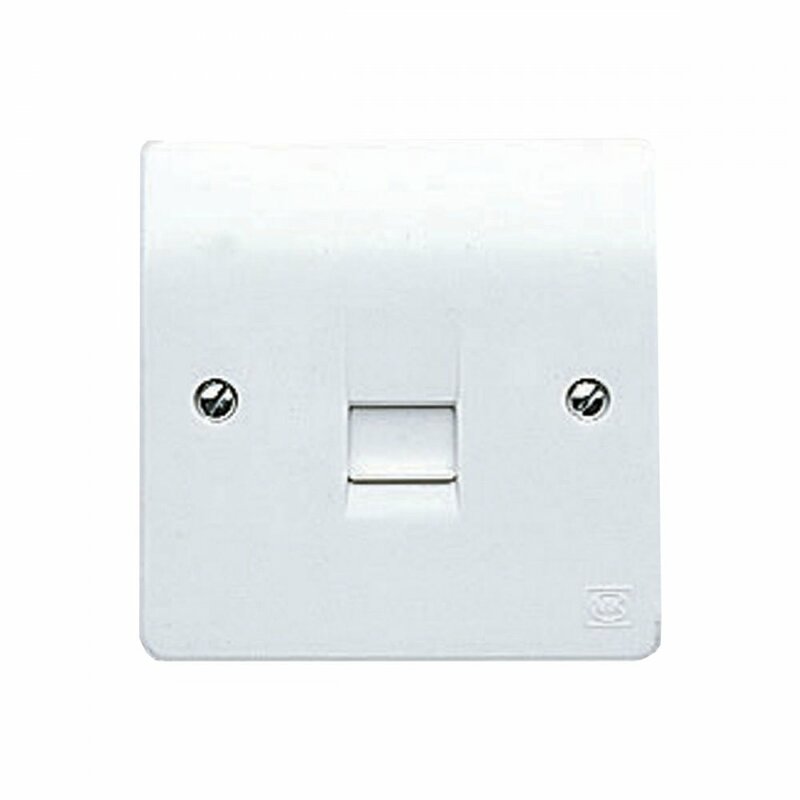 MK Electric K4874WHI Logic Plus White Moulded 4 Gang 2 Way Single Pole Plateswitch 10A. 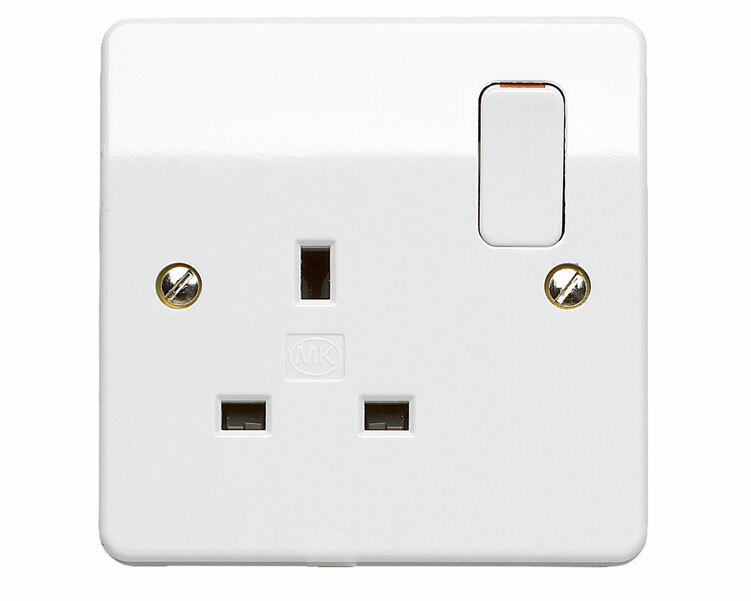 MK Electric K4875WHI Logic Plus White Moulded 1 Gang Intermediate Plateswitch 10A. MK Electric K4878PWHI Logic Plus 1 Gang 2 Way Single Pole Push Switch Marked PRESS 10A.